If there is one truth we can take away from the foreign National Championships preceding our own, it’s that Yveltal EX is certainly the top archetype in the format. If you look at any results from these tournaments you will see Yveltal littering the Top 8 lists, and often winning the tournament. Yveltal decks can be divided into two main categories: Yveltal/Garbodor decks and Yveltal/Raichu decks. If there are two decks you should know about, it is these two, they will make up the majority of the decks that you play at U.S. Nationals. At the last two Regional Championships I played at, I played Yveltal 4/8 and 5/8 rounds, making for a total of 56.3 percent of my rounds being against Yveltal decks. I think Nationals will not be very different, with players playing Yveltal variants 4-5 times in the initial swiss rounds. With the release of Flash Fire, the big thing to be released was Pyroar, a Pokemon that prevents damage from Basic Pokemon. 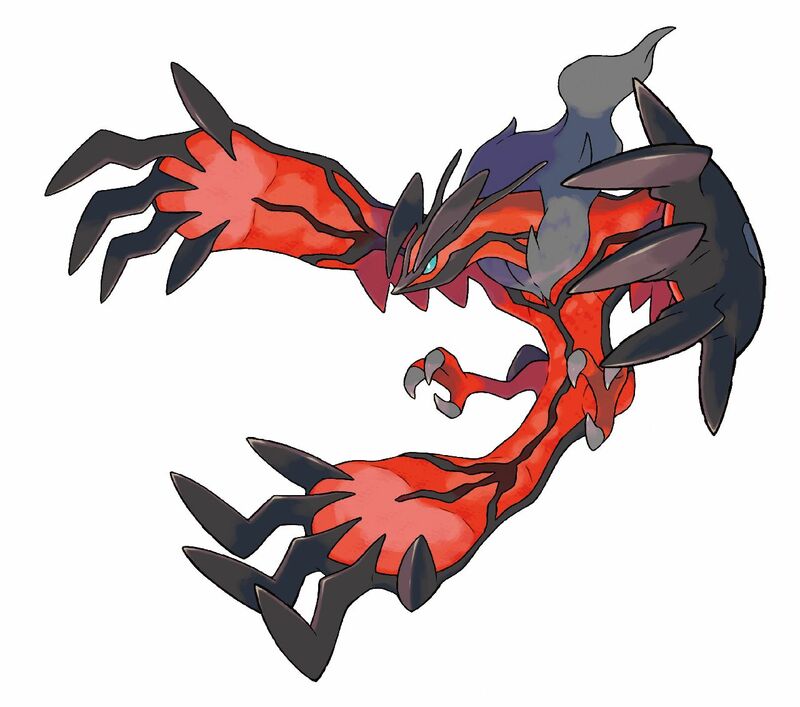 How does this effect Yveltal variants? Not too much actually. The more successful of the two Yveltal variants, the Garbodor version, has a natural counter to Pyroar in shutting off its Ability, allowing you to attack it with Basic Pokemon. This makes Yveltal one of the best Pyroar counter decks in the format. We have also seen the decline of Rain Dance decks, that is Blastoise and Emboar. The release of Druddigon has combined to scare off players from playing those two decks and also contributed to beating any that are there. 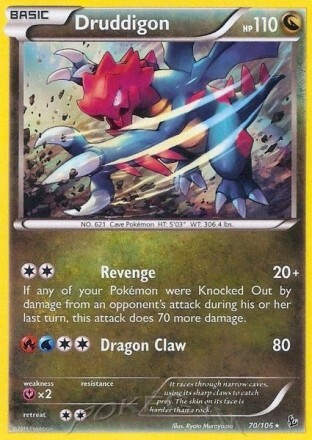 While Druddigon is a card I mostly shy away from, other players love to put it in their decks, making it an ever present threat in the format. 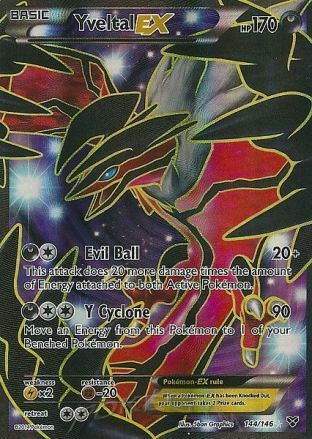 While Yveltal certainly can beat these two decks, their decline and the possibility of having a counter to it for the non-Garbodor variant can only be seen as a positive for Yveltal decks. Lastly, Trevenant/Accelgor, a pesky deck for Yveltal variants has seen a sharp decline in play. This isn’t too surprising, as Virizion EX/Genesect EX has been one of the most popular decks behind Yveltal, along with Plasma which has gust effects with Red Signal. 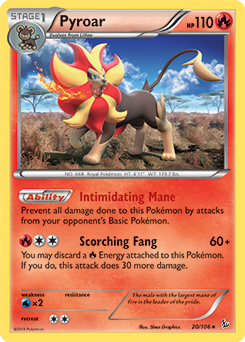 The rest of the format has also gained Lysandre, a means for breaking the Item lock presented by Trevenant, rendering the deck much less effective. Lastly, Lysandre gives Yveltal variants a reliable means of gusting up Raichu lines before they become a threat. To consider what I write past this section of the article, I want to preface those thoughts with some thought processes I have in regards to the format headed into Nationals that has contributed to my deck constructions. 1. Yveltal EX, Virizion EX/Genesect EX, and Plasma represent the triumvirate of the format. These are probably the three best decks, and certainly the most popular, so you can expect to play most of your round at Nationals against these decks. 2. Pyroar will see play, but you will play against less Pyroar than other stuff. I would expect to play 1-2 Pyroar decks during the initial 9 rounds of U.S. Nationals. 3. Rain Dance’s decline is real. I would expect to play against 0-1 Rain Dance decks during the course of the intial swiss rounds. 4. 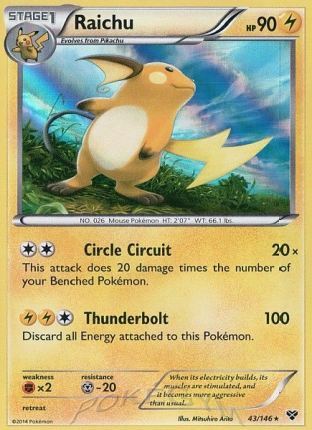 Raichu will see play in a lot of different decks. 5. Consistency is king in Yveltal decks. Yveltal’s best strategy is to make it a one sided game, and having maximum consistency for the deck is key to this. The first variant I am going to discuss is Yveltal/Garbodor, the deck that has seen the most success at National Championships thus far. While Garbodor provides a key disruption element, the deck is still heavily focused on using the power of Yveltal’s attack power. Disruption however is still important, nerfing Plasma’s power level by shutting off Deoxys’ Power Connect, shutting off Verdant Wind and Red Signal against Virizion, stopping the Rain Dance Abilities, and of course, shutting off Pyroar’s Intimidating Mane. This deck is pretty straight forward, you want to get out Garbodor fast to shut off Abilities, and then swing away at your opponent with Yveltal EX. 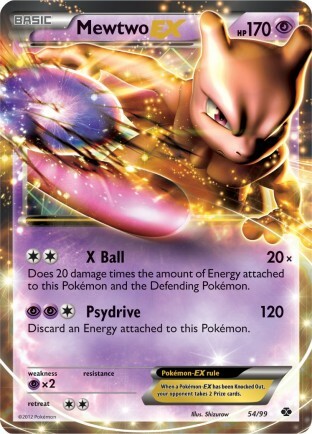 The biggest “tech” which was standard for some players last format is the Mewtwo EX, which you generally use as your response to Raichu, giving you a non-Lightning weak Pokemon to send into the line of battle. 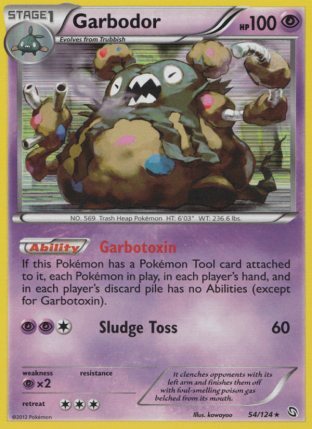 Some concessions are needed to make Garbodor fit into the deck, but I tried to keep these concessions to minimal amounts. The areas I chose to skirt on are in my Laser count and Muscle Band count, making your boosted damage slightly less consistent than other variants. This deck is the standard of the format, and something similar to this is something you can bet on playing against at U.S. Nationals, and it wouldn’t be surprising if this deck won the tournament. This has been one of my favorite decks to play with during this format and one of the decks I immediately built after the release of Flash Fire. The deck is the “straight” Yveltal variant of the format, and it uses the extra space in the deck to play Raichu, which gives you a counter to other Yveltal EX decks and Lugia EX stuff, as well as acts as your Safeguard counter and a soft Pyroar counter. The reason I like this deck so much more than the Garbodor version is just because it has the space to fit in everything you want in your Yveltal deck. I’m able to max out my Muscle Band and Hypnotoxic Laser counts to maximize damage output, as well as fit in a Max Potion, which is good for healing damage off with the Y-Cyclone game, while being able to use it in combination with Dark Patch in some situations. The low Basic count might seem like not enough to get the damage output you want from Circle Circuit, but with Muscle Band and Hypnotoxic Laser, you can usually hit the numbers you want. This version of the deck tends to play a good seven prize game for me. With all the gust effects, sometimes that gets shaken up, but in general it holds true. This deck tends to have the advantage against the Garbodor version of the deck, as it’s not only more consistent, but also plays the hard counter to Yveltal EX in Raichu. There are a few key tech options that Yveltal decks can play to strengthen up some of their matchups. Enhanced Hammer – Between Plasma and other Yveltal decks, Special Energy is fairly popular, so Enhanced Hammer could give you the edge in these matchups. It’s not as great as it used to be with the decreased Sableye count of the deck however. Druddigon – This can be used as a hard counter to Blastoise and Emboar decks, as well as a solid play to counter Raichu. Spiritomb – You would mainly play this to shutoff G-Booster for Virizion EX/Genesect EX decks. Keldeo EX – For Trevenant/Accelgor decks, which probably won’t be popular. Absol PLF/Yveltal XY – Some of the other Dark Pokemon in the format. Both aren’t necessarily bad, but I don’t think they do much to improve the deck compared to a consistent Yveltal attack. If you’re heading to U.S. Nationals, these are the two main decks to know about. They have seen the most success at foreign National Championships, and have been heavily played in the U.S. meta. This article should give you a good idea of what to expect from these decks, as well as how to build them if you choose it as your deck for the tournament.